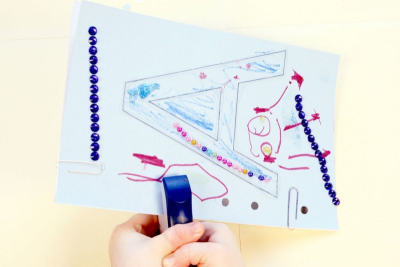 Students create a personal book with the first letter of their name drawn in glue on the cover. 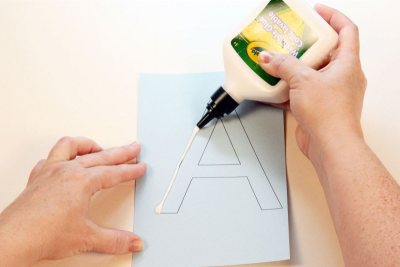 Draw around the outline of the letter with washable glue. Place a piece of the book paper on top of the glued letter. 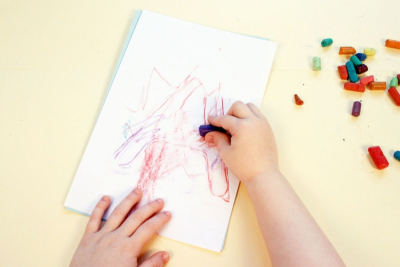 Use a piece of broken crayon to rub over the surface of the paper. Feel where the glue lines are with your fingers. Rub over the glue lines with the crayon. Decorate the cover of your book. Colour in and around your letter. Stack all the papers together. Place the decorated cover on top. Place the white papers in the middle. Place a coloured paper on the bottom. Paper clip all the papers together. Use a hole punch to make holes along one edge of the papers. Wrap a small piece of masking tape around the end of a piece of yarn to make a lace. Thread the yarn through the holes going in one side and out the other. Tie the yarn at each end. Write and draw on the pages in the book. - How are the books the same? - What do you like the best about making your own book? Why? share their ideas with the class. Sort the glued letters into separate piles. Provide time for students to practice punching holes in cardstock paper, and threading a lace in and out through the holes. 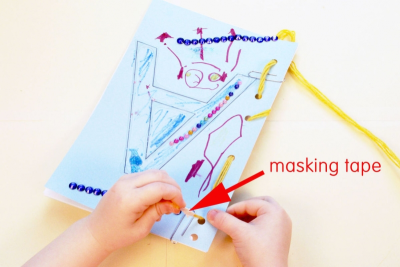 Provide time for students to explore making rubbings with a variety of textured materials. Gather, and make available, a variety of alphabet books, for example, ABC of Canada, by Kim Bellefontaine, and‎ Per Henrik Gurth; The Construction Alphabet Book, by Jerry Pallotta,‎ and Rob Bolster; My First ABC, by DK; A Northern Alphabet, by Ted Harrison; and DC Super Heroes ABC 123 Board book, by David Bar Katz. Set up a bookmaking centre with paper, hole punches, washable glitter glue, embellishments, broken crayons, markers, yarn, scissors and coloured pencils. Conduct a read-aloud using an alphabet book such as ABC of Canada, by Kim Bellefontaine, and‎ Per Henrik Gurth to discuss and observe the use of letter illustrations in a story. 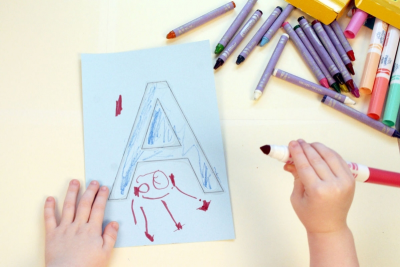 Invite students to point out the letter in the alphabet that is the first letter of their name. Show them the glued cardstock letters. 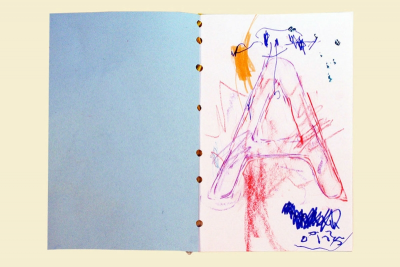 Use your own ideas to make a book. Create a rubbing of a letter. Work independently and manage your behaviour. - What they learned about making a book. - What they learned about making a rubbing of a letter. - What they like best about their books. Display all the books in the classroom. Encourage students to view the books and notice how they are the same, and how they are different. Observe students as they discuss the books – active listening, insightful contributions, supporting ideas with evidence found in the artwork and from personal experience.